Ofelio has built an effective small business preparing the traditional tamales that are much in demand in Washington, D.C. He immigrated to the United States from rural Mexico almost 30 years ago. In the United States, Ofelio found some of the things he sought for his children: a secure home, nourishing food, and education. But it took a toll on Ofelio’s physical and emotional health. He worked for ten years in restaurants, often 12 hours a day, seven days a week, with no job security. Even while Ofelio was throwing himself into hard work, he felt that he was losing the struggle to support his family. He felt defeated and became depressed. 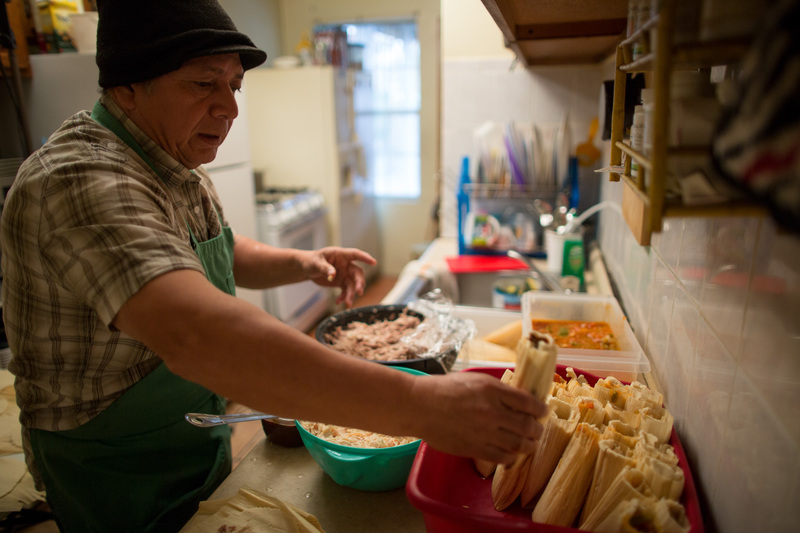 Moving to Washington, Ofelio started making tamales at home for friends at church, and he laughs about it now since making tamales is considered a woman’s work in Mexico. Soon he was filling bigger orders on a regular basis. Ofelio secured the permits and certifications to launch his catering business through the help of a D.C. nonprofit agency. Ofelio is a single father; his business is the family’s lifeline even while it provides for little more than essentials. He combines tamale deliveries with after-school pickups. He is cooking by 5:00 a.m. most days. In the midst of everything, he finds time to be a dad. What Ofelio needs but cannot obtain is a start-up loan. A few thousand dollars would allow him to move the business out of his home kitchen, but by banking standards his business is too small and too risky. Without access to capital, Ofelio cannot move beyond just barely making it. He has big ideas: renting a commercial kitchen, buying a delivery vehicle, hiring a staff. And taking classes to improve his English and providing quality childcare for his two youngest daughters. Ofelio has been turned down by banks many times. Most government programs do not provide loans to businesses as small as his. With a loan as low as $20,000, a commercial kitchen would be within reach. So far that loan is not available. FACT: Immigrants like Ofelio are 13 percent of the population but 18 percent of business owners.